Rogers publishing arm, which includes magazines such as Maclean's and Chatelaine, have been purchased by St. Joseph Communications. Screenshot by J-Source. Rogers Media has offloaded its publishing division to St. Joseph Communications, a deal that will put a sizeable chunk of Canada’s national print magazines under one roof. Publications such as Maclean’s, Chatelaine and the digital Flare will join SJC brands Quill and Quire, Toronto Life and Fashion Magazine when the deal closes later this spring. “It was vitally important to us to find a good home for our employees and these storied brands so that the publications live on and flourish in a well-established company dedicated to publishing,” said Rick Brace, Rogers Media president, in a press release. Rogers employees are guaranteed employment until the deal closes in April 2019, according to a press release. So now @stjoseph’s owns aaaaall the magazines. At least @Chatelaine and these other great titles have found a home with someone who knows what to do with them. 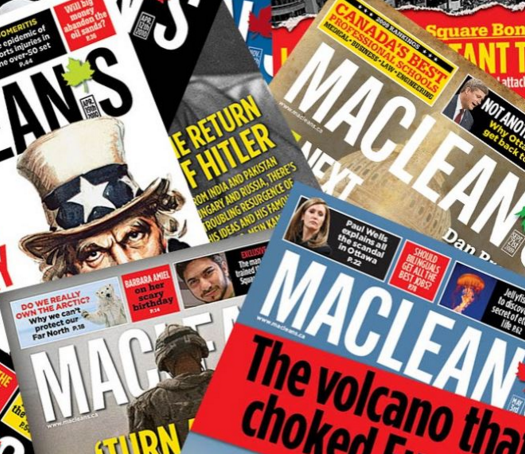 The sale comes months after a group of Rogers employees entered a bid to purchase the company’s magazines in an effort to retain their full 150-member staff and maintain the publication of brands including Maclean’s, Chatelaine and Canadian Business. In its most recent and significant round of layoffs, Rogers cut 75 from its staff in June 2018 as part of an effort to reorganize its digital content and publishing team. Then Chatelaine editor-in-chief Lianne George voluntarily resigned in the wake of the cuts. Earlier last year, Vice laid off 23 staff days after Rogers dissolved its Viceland partnership with the digital media company.